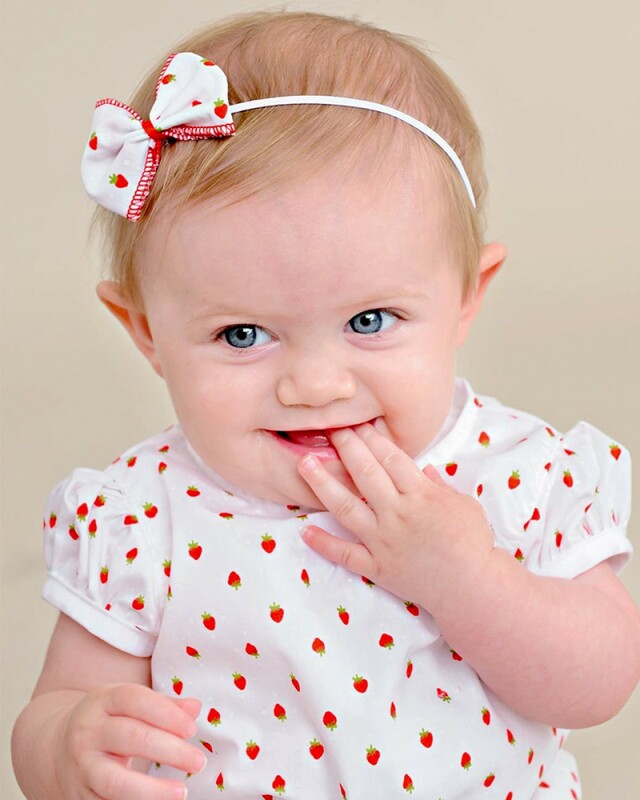 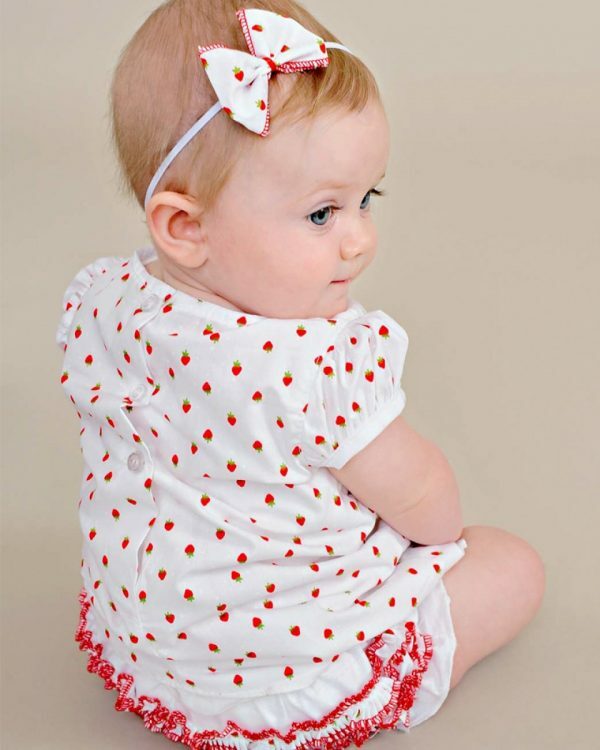 An adorable A-line strawberry print shortie dress with pretty puffed sleeves. Includes matching headband and diaper cover. 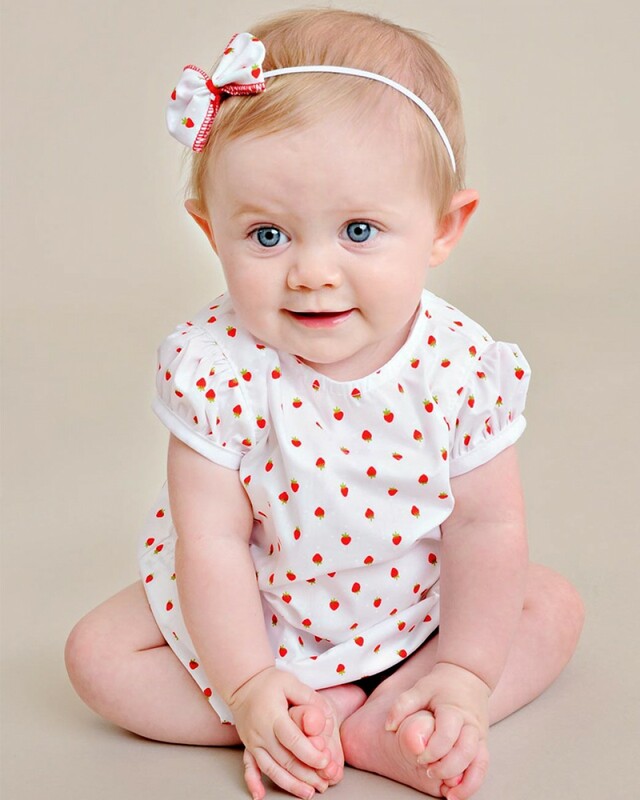 Perfect for your summer picnic!